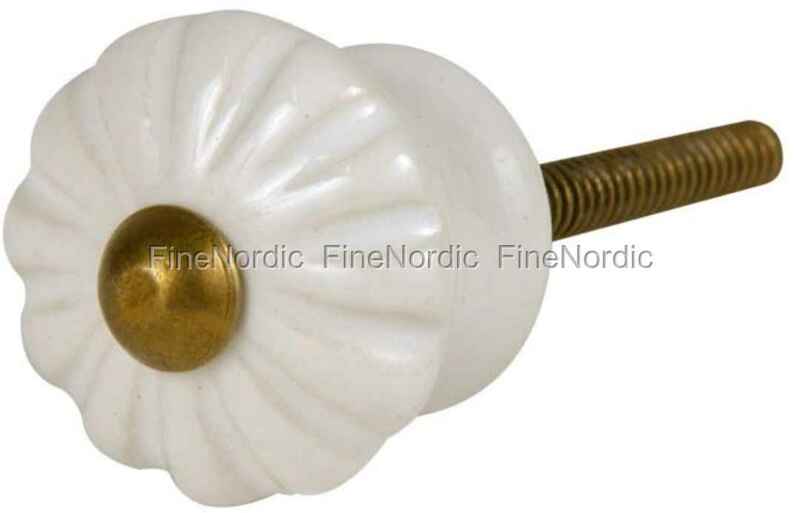 Ib Laursen Porcelain Knob - with Grooves - White. Buy here. This white Ib Laursen porcelain knob beautifies dressers, cupboards and drawers and at the same time, exudes a bit of nostalgia. The white handle made of porcelain, with its shapely grooves, has a simple, yet very stylish look. The knob does not only beautify your furniture, but also the room in which the furniture stands. An old family heirloom can get a whole new look this way and all without much craftmanship and financial effort.